The FTD® Sunningdale™ Bouquet is the picture of modern perfection. 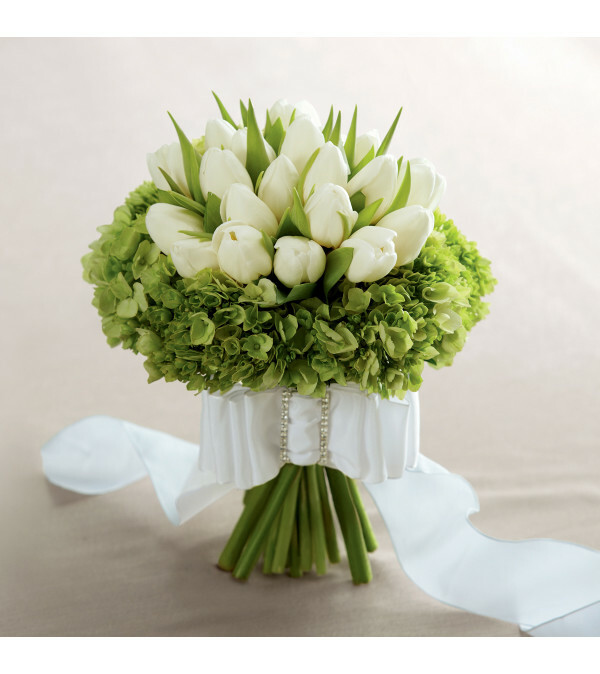 White tulips are arranged in the center of the bouquet and then surrounded by green mini hydrangea blooms to create a memorable look. 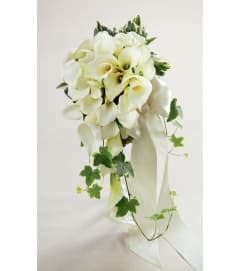 Accented with a wide white French taffeta ribbon, this bouquet is an ideal way to walk down the aisle in style and grace. Had my flowers ready in 20 minutes despite putting my order in 5 minutes before the end of the day. Flowers looked amazing and they couldn't have been more friendly! Will definitely come back and recommend to others. Thank you! Mary was extremely helpful and kind. She followed up quickly to my order and the flowers looked lovely. 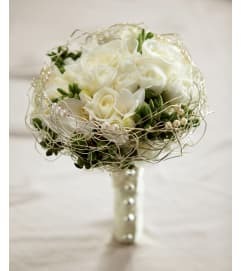 Flamingo Floral & Gifts is a Lovingly Florist in Markham. Buying local matters. Discover how Lovingly supports local florists. 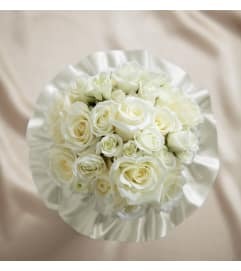 Copyrighted images herein are used with permission by Flamingo Floral & Gifts.